I'm INSANE. Yep. I've joined Boomerang Six! I joined 2 groups again, and said that I'd be a standby if a small group needed someone else to "play." I swear, sometimes I really think that if I didn't do these Boom swaps I'd never get any large quilts made. Wanna sneak peek of what I'm sending for one group? 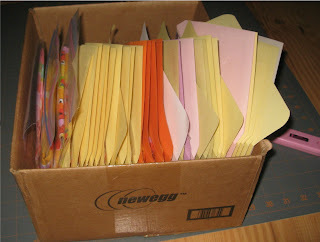 Curious as to what 35 envelopes stuffed with a Fat Eighth looks like?? Sure, I know you are! And of course I live to share! This particular fabric I've been holding onto for 6 years or so (I think.) It's a Robert Kaufmann print and I just love it to pieces. I finally made the first cuts into it. Let me tell you - cutting it hurt, but at the end of this Boom, I'll finally have a quilt for MYSELF!!! I only had enough of the coffee print fabric for 16 envelopes (I've designated myself to making 4 blocks with this print...) So.. this is what 16 envelopes looks like stuffed with the F8th, a letter - the original is handwritten but I photocopied it - and no addresses on the envelopes or stamps just yet. 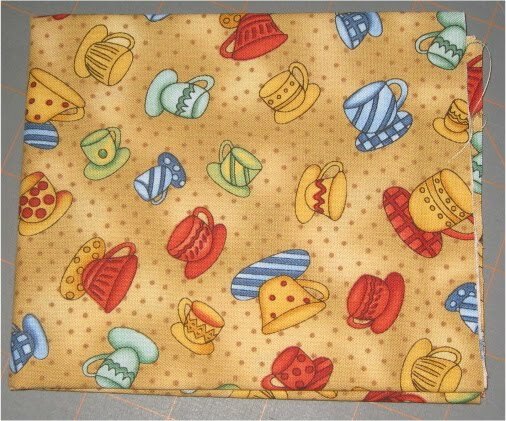 And this fabric is going to be for DD. She picked it, she wants bright happy colors. Since there are 35 people I send to, and I'd already had 16 people, there are 19 Fat Eighths here, and I'll be making some blocks with the leftover fabric I have. 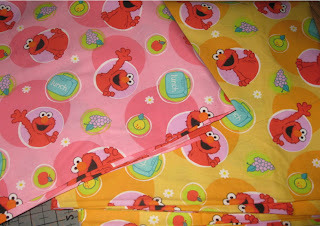 I'm sending out 10 yellow Elmo F8ths, and 9 Pink. DD told me that I have to make her at least one pink block - so there's the 20th block. And here is a photo of what 35 envelopes looks like! 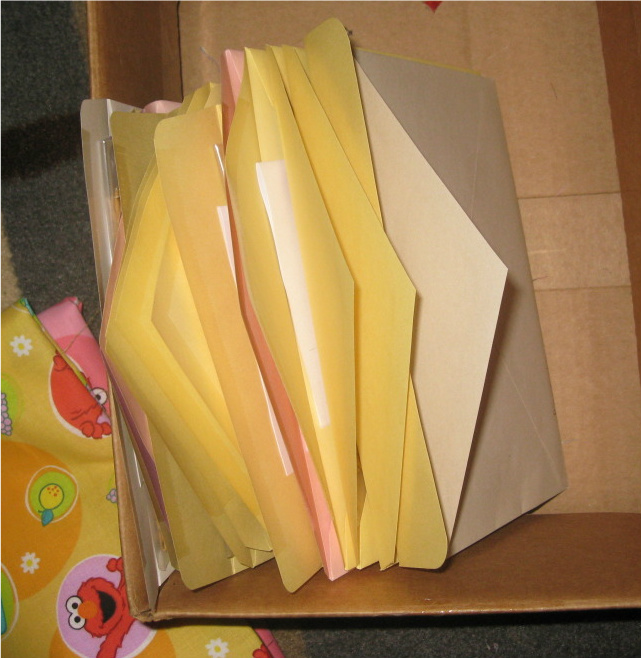 Each has a letter inside it, and the F8th in a baggie.